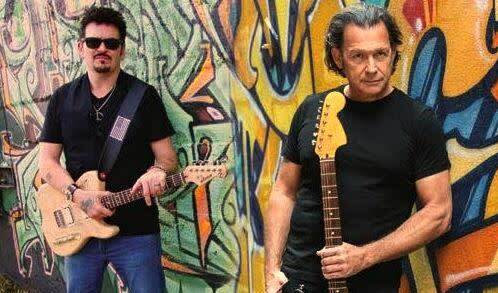 BEAUMONT, TX – On “The Road Never Ends,” the second track of Mike Zito’s new June 11 CD, Gone to Texas, he cranks things into the stratosphere with a sonic blast of electric slide guitar and blistering vocals, accompanied on vocals and harmonica by the great Delbert McClinton. Also along for the ride on his label debut solo CD for Ruf Records are special guests Sonny Landreth on guitar, Susan Cowsill on vocals and Lewis Stephens (Delbert McClinton, Freddie King) on keyboards. Zito expertly matches them with his core band, The Wheel: Jimmy Carpenter – sax and guitars; Rob Lee – drums; and Scot Sutherland – bass. The result effectively announces one of the most exciting and highly-anticipated new releases of the year. Recorded at Dockside Studios in Maurice, Louisiana, Gone to Texas was produced by the Beaumont, Texas-based Mike Zito and engineered by long-time New Orleans notable David Ferrell, giving the album’s mix a decided Crescent City bent, while embracing Zito’s Texas blues and roots influences. “Rainbow Bridge,” aided and abetted by some killer Sonny Landreth guitar work and soulful Susan Cowsill vocals, sounds like a long-lost Little Feat song. The lead-off title track is an autobiographical tale of redemption and catharsis for Zito, who literally lived the tale, with a bit of an Allman Brothers musical twinge. “Subtraction Blues” deals with a man whose dealings with his woman “just don’t add up,” spiced with a funky Second Line feel. “Take It Easy,” one of the two non-original tracks on the CD, is Zito’s soothing take on the Delbert McClinton-penned ballad. The other cover is Mike’s unique version of Beaumont’s own Blind Willie Johnson’s “Let Your Love Shine on Me.” And on “Texas Flyer,” he salutes the legendary “Texas Cannonball” himself – Freddie King – in the best way possible: with a flurry of stinging blues guitar leads that are still hanging somewhere over the Lone Star State. Make no mistake about it, Gone to Texas IS a very special – and personal – album for Mike Zito. “Texas saved my life. Sounds a bit dramatic, but absolutely true,” says Zito. “Historically, Texas has been the saving grace of many desperate men. In the early 1800s, men who had large debts or committed crimes would run off to Texas to hide from the colonies and their creditors. This was called ‘Gone to Texas.’ New Spain (Mexico at that time, including Mexican Texas) took in all the runaways and vagabonds it could hold. Many of these men found a new life in what would be Texas, returned for their families, paid their debts off, only to fight and die for the freedom of Texas from Spanish rule. This March Zito unveils his next disc, "Make Blues Not War"...with a Cd Release here at The Oriental...we hope to see you here for it! Since 2012, Mike Zito has also been a founding member of his OTHER band, Royal Southern Brotherhood, along with Cyril Neville, Devon Allman, Charlie Wooton and Yonrico Scott; and while he continues to record and tour with that band of brothers, he’ll also be doing shows with The Wheel throughout the rest of the year in support of his solo album. He’s managed by Reuben Williams of The Thunderbird Management Group (985-798-5665; thunderbird@viscom.net); and is booked by Piedmont Talent (www.piedmonttalent.com). 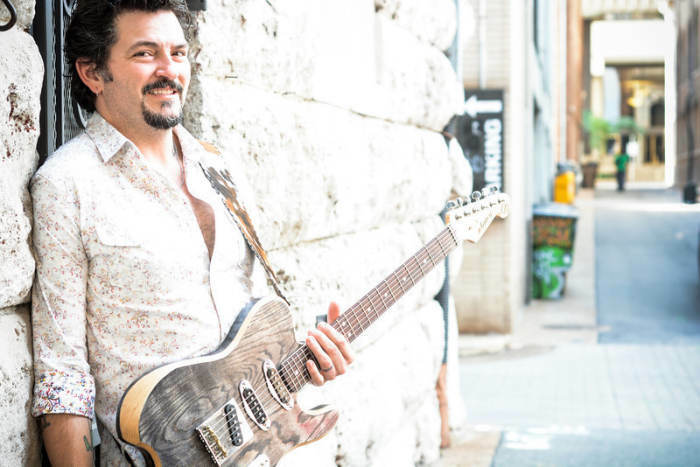 Mike Zito has been a rising star in the blues/roots world for the past several years as a performer, songwriter and producer. In 2010, the title-track for his Pearl River album, which he co-wrote with Cyril Neville, won the Blues Music Award as “Song of Year;” and he also produced last year’s BMA winner for “Best New Artist Debut Album” by labelmate Samantha Fish. 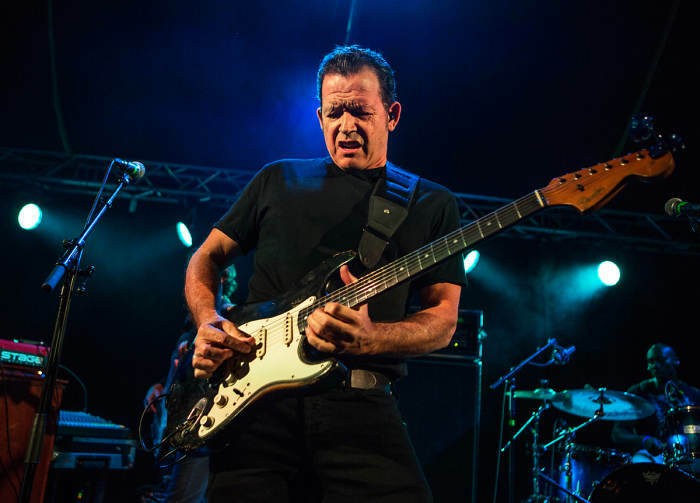 His last solo CD, Greyhound, was nominated for “Rock Blues Album;” and he’s currently nominated as a member of Royal Southern Brotherhood in the same category for that band’s eponymous debut CD at the upcoming Blues Music Awards in May.